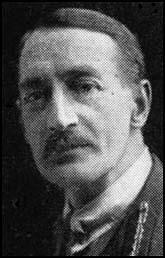 Christopher Thomson, the son of Major-General Christopher Thomson, was born in India on 13th April, 1875. After being educated at Cheltenham College and the Royal Military Academy, he joined the Royal Engineers in 1894. Thomson served in Mauritius (1896-1899) and South Africa (1899-1902) during the Boer War, where he won two medals and was mentioned in dispatches. After returning from South Africa he taught at the Engineering School at Chatham and the Staff College, Camberley. In 1911 Thomson went to the War Office where he served under Sir Henry Wilson, director of military operations. The following year he became military attaché with the Serbian Army where he remained throughout the Turkish and Bulgarian campaigns. 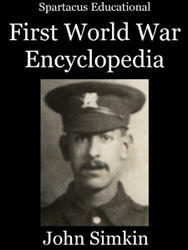 On the outbreak of the First World War he was sent to Belgium where he was liaison officer with the Belgian Army. In February 1915, Thomson became military attaché in Bucharest. After the German invasion of Rumania Thomson was sent to Palestine and took part in the advance on Jerusalem. He commanded a brigade at the capture of Jericho and was awarded the D.S.O. in 1918. Promoted to the rank of brigadier-general, Thomson was a member of the British delegation at the Paris Peace Conference and was highly critical of the Versailles Peace Treaty. In 1919 Thomson resigned from the army to stand as the Labour Party candidate at Bristol. He was unsuccessful and he was also defeated at the 1922 General Election. He also lost at St. Albans in 1923. 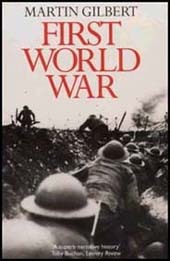 After the war Thomson published two important books on European politics, Old Europe's Suicide (1919) and Victors and Vanquished (1924). When Ramsay MacDonald formed the first Labour government in 1924, he raised Thomson to the peerage and appointed him as secretary of state for air. Thomson was largely responsible for the government's decision to start a programme of airship building that included R.100 and R101. After the fall of MacDonald's government, Thomson became one of the leaders of the Labour Party in the House of Lords. He served as chairman of the Aeronautical Society and the Air League. He also published his book Air Facts and Problems (1927). Following the Labour victory at the 1929 General Election, Thomson was once again appointed as secretary of state for air. Christopher Thomson, Baron of Cardington, was killed when a passenger of the R.101 airship that crashed on 5th October 1930. Our Military Attaché in Bucharest was Colonel Thomson, who blamed himself a good deal for his share in bringing Rumania into the war. "They told me at home that I could ask for anything I liked if I brought Rumania in," he said ruefully when disaster was looming near," but I think it would be a little tackless if I asked for anything now." I liked him very much and was shocked one morning to hear someone say that one of last night's bombs had fallen on the Military Mission. I went round at once. The bomb had blown away half the bathroom, which was on the upper floor, but had left the bath itself in the open, projecting over the ruins. The water-supply was still working, so Thomson was having his bath as usual. Later, when it was clear that nothing could prevent a general retreat, Thomson picked me up in his car, and I found my knees lifted to my chin. "Have a look," said Thomson and I lifted the carpet to see that the floor of the car was covered with bottles of champagne. Thomson laughed. "Well," he said, "if it has got to be a retreat, I don't see why it should be a dry one. Years later, in London, I met Thomson hurrying towards the Strand in civilian clothes and carrying a delicately tinted pair of gloves. He told me he was on his way to address a Trade Union meeting. I suppose I must have smiled and he must have noticed my glance at his gloves. "Yes," he said, "I know I don't look much of a Trade Unionist, but that can't be helped." He became Lord Thomson, Secretary of State for Air in the first Labour Government, and to the sorrow of all who knew him was killed on the first flight of the airship R.101.